Hyped as one of the biggest releases this year, LA Noire has finally arrived. But will it live up to the its high expectations? 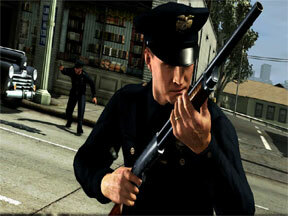 You take on the role of Cole Phelps, a war hero and member of the LAPD with an agenda to fight crime and corruption. You starting as a Beat Cop and work your way through the ranks to Detective at Traffic, Homicide, Vice and Arson by investigating a number of cases. 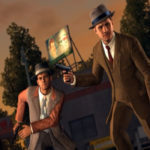 LA Noire also offers a number of distractions that allow you to explore the recreation of 1947 Los Angeles in search of Landmarks, Film Reels, Street Crime and Hidden Vehicles. This latest release from Rockstar builds upon the success of the GTA series and introduces the new MotionScan technology. This 3D Motion Capture technology provides game developers with the ability to capture facial expressions. 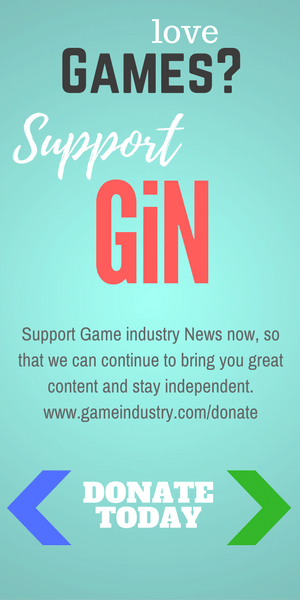 Perhaps the best part of this, in my opinion, is that games are now able to attract professional actors (like Aaron Staton of Mad Men fame) which provides the player with better characters and voice work. The only problem with MotionScan is that it’s so accurate it draws attention to the less accurate animations, graphical glitches and frame stutter. You can see the details of how MotionScan works here. The period soundtrack is absolutely sublime, especially if you are Jazz Cat, and is a masterpiece in its own right even when juxtaposed to actor’s performances. It does a fantastic job of adding to the atmosphere and never feels repetitive, unlike the gameplay. LA Noire has only two pitfalls: the weak and sometimes confusing story line and the repetitive gameplay. Each investigation consists of investigating a scene, pursing the leads, questioning your witnesses and catching the criminal. Crime scene investigation soon gets boring, as you are given an Audio prompt and vibration each time you are near a so-called "clue." 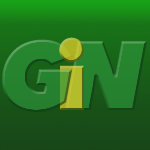 More than half the inspect-able items turn out to be a bottle, cigarette carton or various household items which are totally irrelevant to the case. One further annoyance was the fact that I found the NPC AI would allow NPCs (mainly your partner or other detectives) to get in your way when you are trying to look at clues, but alas you have to investigate everything as this is important when interrogating your witnesses. Witness interrogation is my favorite aspect of the gameplay. You start by picking a line of conversation from your notebook and are then asked to decide whether to select Truth, Doubt or Lie based on the response and facial expressions. There is a very fine line between Doubt and Lie – to accuse a suspect of lying you must present them with proof in the form of evidence you have gathered. My only criticisms here are that sometimes the facial expressions can be over exaggerated if you don’t choose immediately and that there is no option to Hit/Slap/Intimidate your witness, – a Film Noir cop’s favorite means of extracting the truth. I was surprised how much driving features in this game. This is a problem for me as I am inept at any form of in-game vehicle maneuvers and would frequently crash and injure pedestrians! As a cop you are not able to get away with the level of anarchy that you are used to in the GTA series. While you can commandeer vehicles, you are expected to drive safe and take in the scenery. If you choose not to risk driving, you can make your partner drive. When not investigating crimes, interrogating witness or driving, Cole Phelps can mostly be found climbing up drainpipes and running along rooftops – very Assasin’s Creed. Phelps finds himself in the occasional shootout, but these are very easy and soon over as there is an Auto-Aim feature enabled. Hostage situations require you to incapacitate the hostage-taker which actually means kill them, as a well placed shot to the shoulder seems to have no effect! Your case work is graded from 1 to 5 for each successfully completed case. This is based on the decisions you made and how much damage you inflicted on City property, Civilians and Vehicles. A single star rating involves a verbal rebuke from the Lieutenant, where he tells you to work the streets as punishment – you don’t actually have to though, as you are automatically assigned the next case, which is a shame. The storyline itself is a little weak and is certainly no Film Noir, from where the game gains its title. Cole Phelp’s fall from grace is very gradual, so much so that you would be forgiven for not noticing it until the end of the game. The cases themselves, although inspired by crime fiction, are unfortunately mundane and predictable in places. During the Homicide investigations I felt a little disengaged from the story line. Not because of its complexity but because of the bad writing and plot holes. There is also a narrator that appears halfway through the game and then disappears with no explanation. As far as longevity is concerned, the 21 cases will take approximately an hour each to conclude. 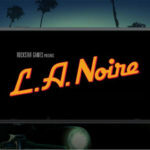 LA Noire’s main story is supplemented with a long list of distractions including 40 street crimes, 95 vehicles to unlock, 8 square miles of LA to explore and discover landmarks and film reels. There will be additional cases in the form of DLC, the first of which titled "The Naked City" is included with the game purchase. LA Noire was enjoyable despite the frustrations. The acting, scenery and soundtrack were all impeccable, but were let down by the story line and writing. 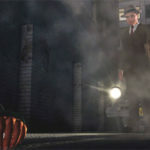 As the debut of MotionScan, LA Noire certainly succeeds, but it’s less successful in bringing Film Noir to the console. Overall it is worthy of 4 Gems. Note: Reviewed on an Xbox 360. As a recent Xbox convert and long time PlayStation gamer, I was unpleasantly surprised to find the game split over 3 discs. I haven’t played a game with multiple discs since Final Fantasy 9! It was an unfortunate and painful reminder of the fact that Microsoft neglected to opt for a high density optical drive on their flagship console, and helps to explain why the advertising for LA Noire would suggest that this is a PS3-exclusive title.